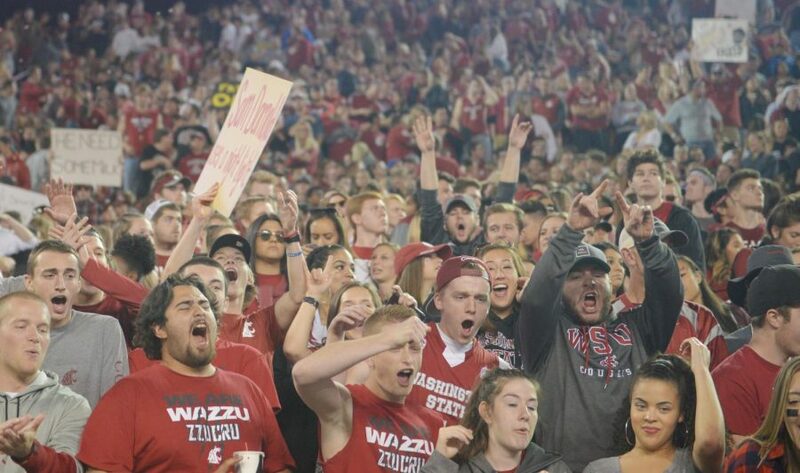 Fans in the student section cheer at the WSU football game against USC Sept. 29. A sports pass provides access to any official WSU sporting event. 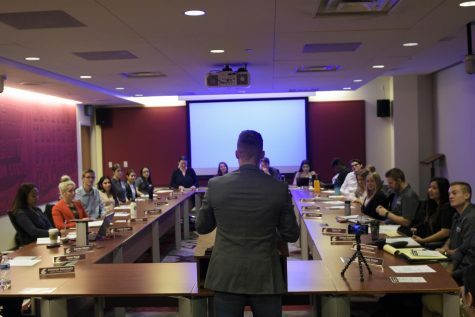 Though the ASWSU Senate rejected a proposed mandatory $265 sports pass, the student leaders who led the effort to get it on the ballot saw the fee as a way to make students’ payment to Athletics more transparent. 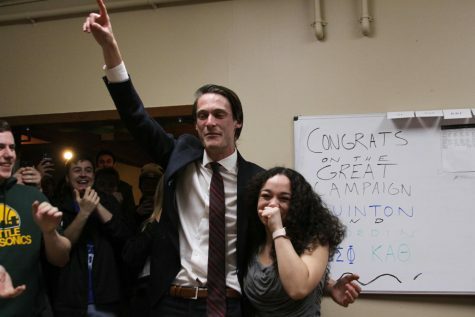 The referendum would have required every undergraduate to pay $265, generating an additional $1.6 million for Athletics. It would have covered a sports pass, which students currently have the option of buying for $239, and all other athletics-related fees. Currently, every undergraduate pays a mandatory $39 fee to Athletics through Services and Activities fees. 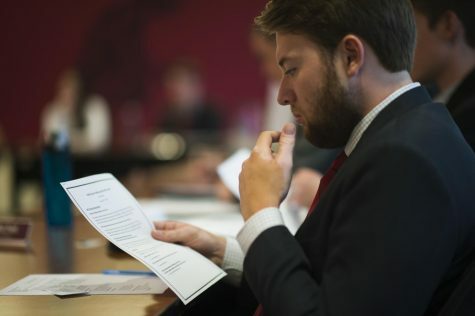 ASWSU President Jordan Frost said he brought the sports pass idea to All Campus Sens. 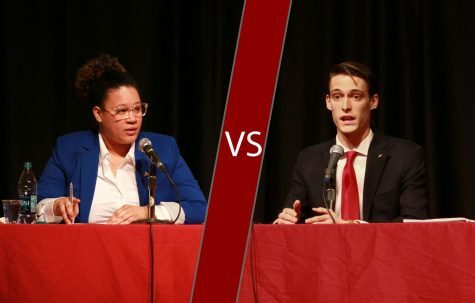 Tyler Parchem and James Dalton and Transfer Delegate Jonathan Brown, in hopes of consolidating Athletics fees and making them easier to understand. 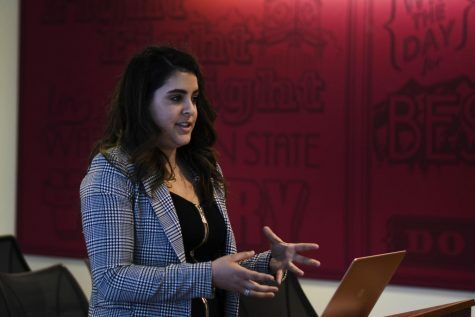 When the department ran a $8.4 million deficit in fiscal year 2017, WSU President Kirk Schulz told Athletics officials to come up with solutions, Frost said. 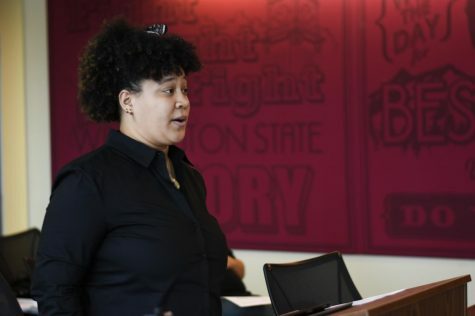 One solution Athletics proposed was keeping the sports pass optional while implementing a mandatory $50 student fee that would go directly to the department, Frost said. Senior Associate Athletic Director John Johnson said WSU is one of four schools in the Pac-12 that does not have a mandatory sports fee for all students. Frost said he did not like the idea of another fee from another source going to Athletics. 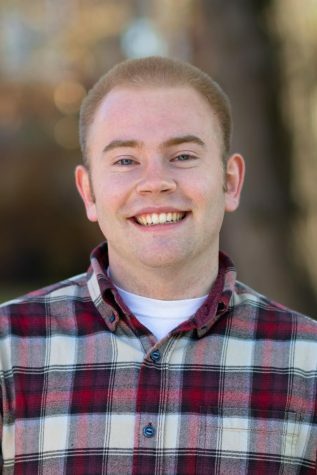 He said he favored rolling all the Athletics-related fees into one $265 bill for the entire student body, to make it clearer where the money was going. After meeting with representatives from Athletics, Frost said they agreed to propose consolidating the fees. Johnson said all the revenue generated from the proposed referendum would have gone to the department’s 929 student employees, interns and volunteers. The department spends about $1.7 million each year supporting these students, Johnson said, but only receives about $800,000 from S&A fees. 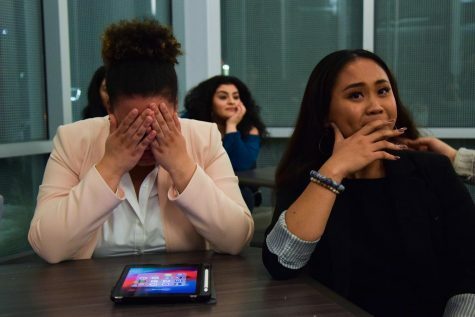 Athletics received about $754,000 from S&A fees this academic year, or about $40 per student, according to the referendum. Students who decide to buy a sports pass pay $239 on top of their S&A fees. The proposed referendum would have brought S&A and sports pass costs together, totaling $265 per student. This would require the roughly 5,000 students that chose not to pay for an optional sports pass this year to purchase one in the future and pay an additional $225 toward athletics. This would have generated about $4.3 million for Athletics, compared to the about $2.7 million it currently receives. Johnson said Athletics may consider pursuing a fee in the future. 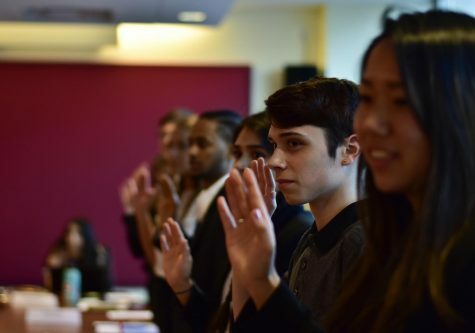 Parchem, one of the bill’s co-authors, said Athletics could have increased the price of the sports pass or gone to the S&A committee to request more money, but they decided to give students a chance to vote. 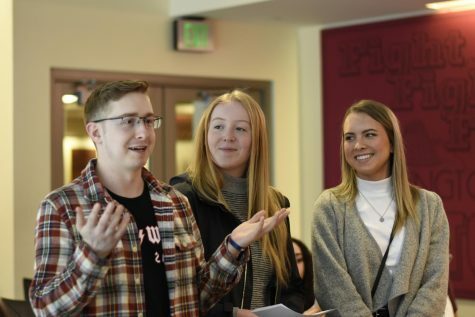 Parchem, who is also running for ASWSU vice president, said he was hesitant when Frost first approached him with the idea because of the negative impact it would have on the students who chose not to buy a sports pass. He said he decided to author the bill because it would give students the option to vote on the proposal. Dalton shared a similar sentiment. Frost said if the bill had made it to the ballot and if the students had approved it, Athletics would not be able to raise the mandatory sports pass fee without student approval.